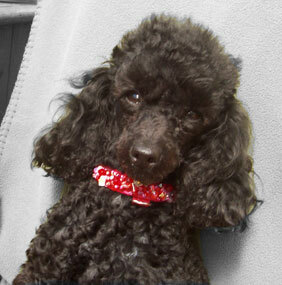 Ruby Slippers. 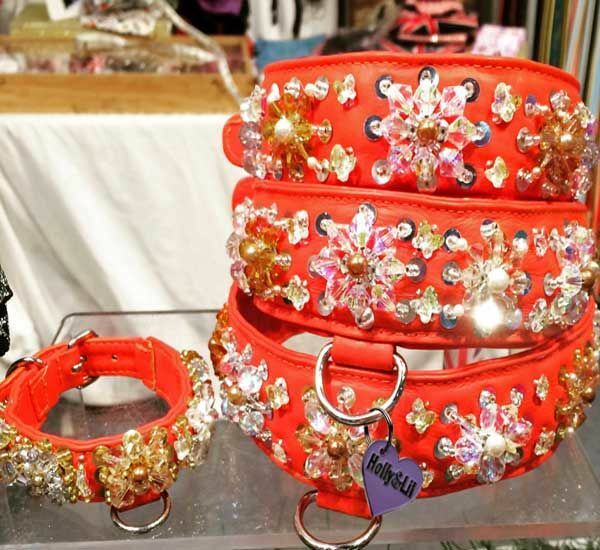 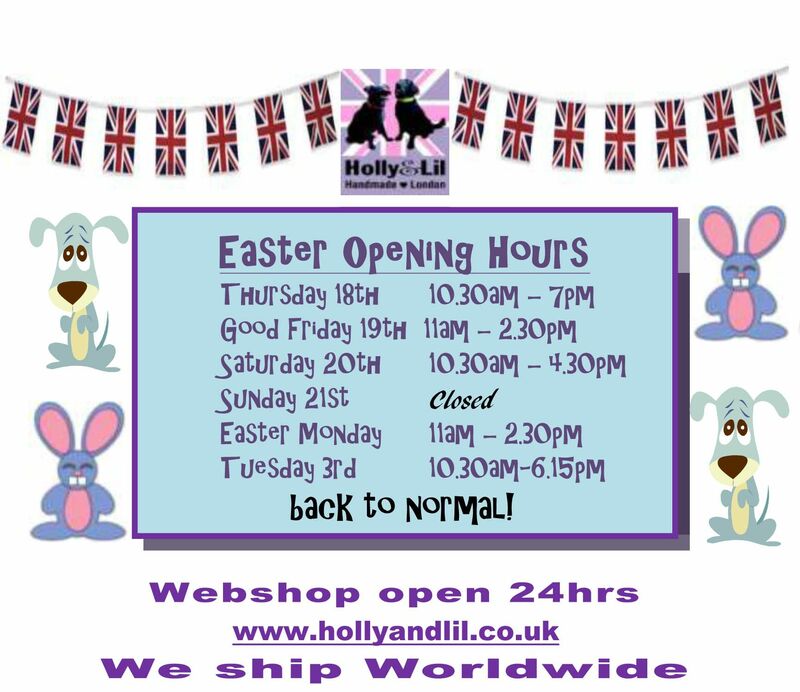 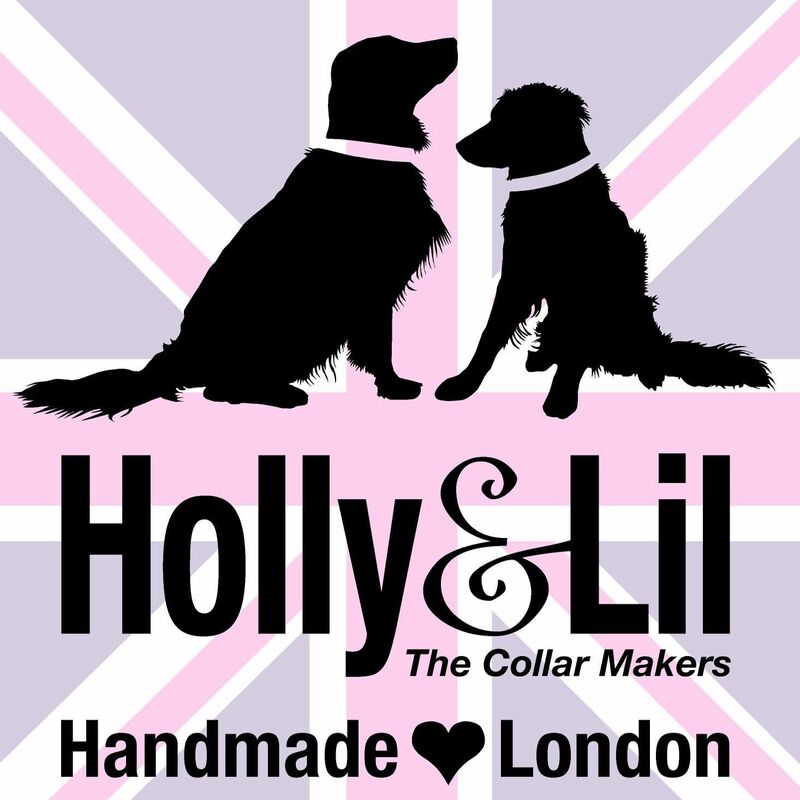 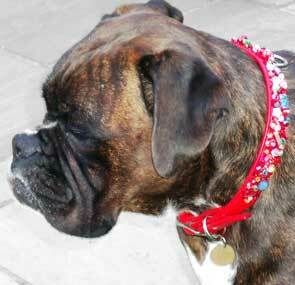 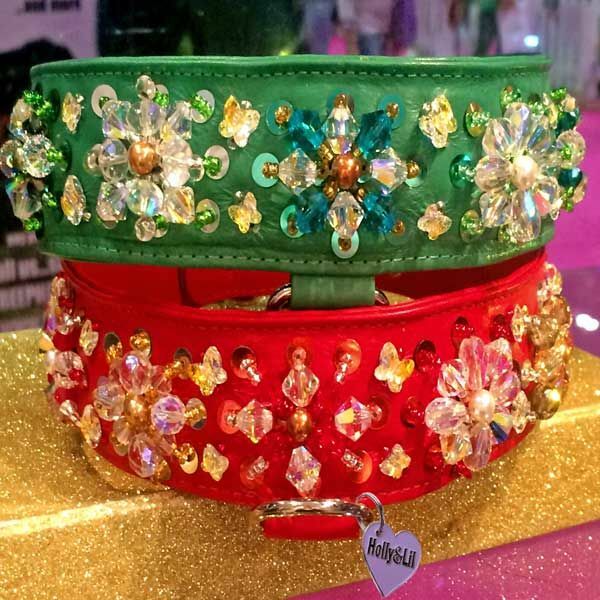 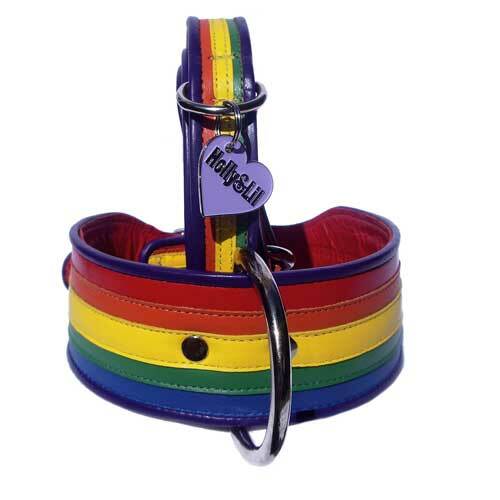 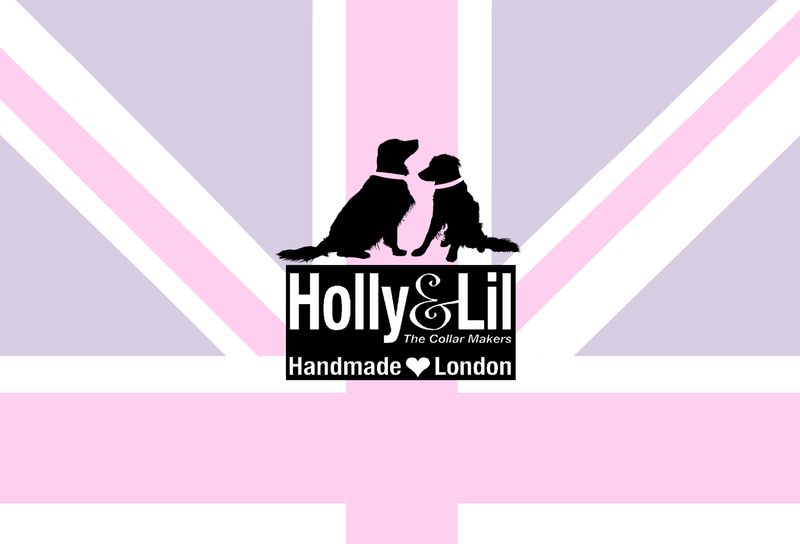 Sequins & Swarovski dog collar - Holly & Lil Collars Handmade in Britain, Leather dog collars, leads & Dog harnesses. 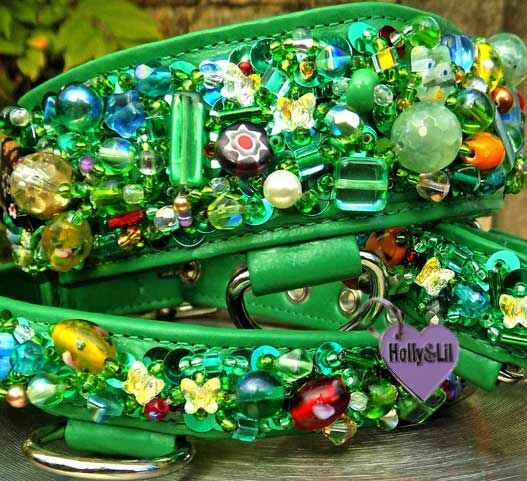 Designed originally for H&L's The Wizard of Oz contribution to The Harrods Dog Walk in 2010. 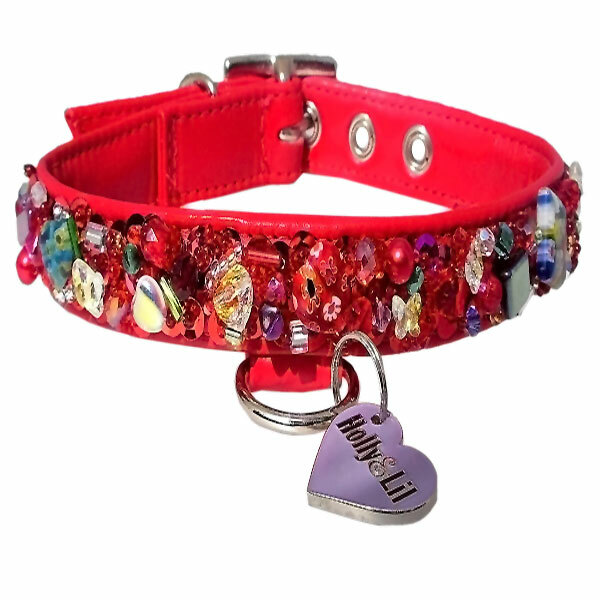 The collar is sewn with sequins, crystals, Swarovski Crystals and glass beads, a Red Ruby dream!